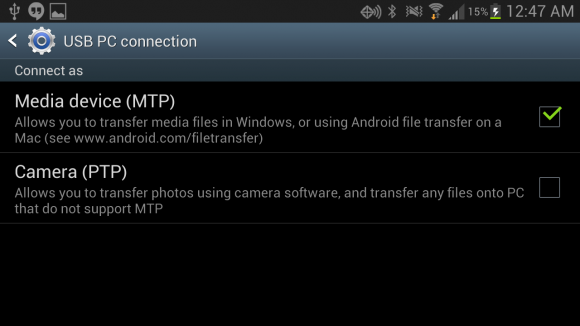 Android File Transfer Not Working With Samsung Phone or Tablet? Tips for Fixing It, Works! When you read this message, you might follow the instruction and did it several time, but the connecting doesn’t work. the problem was Samsung Kies! That’s right! The Samsung Kies software is the key to solve your problem. Uninstalling Samsung Kies is the only work around for this issue. 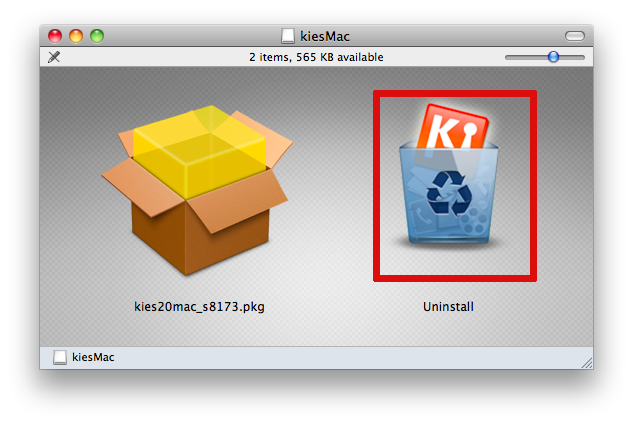 Even if you’ve never installed Kies on your Mac, the driver may still be on your Mac blocking Android file transfer. So, what to do? 2. Download the Kies Installer. launch it, and take the official UNINSTALLER! 6. Touch for other USB options, and then make sure Media device (MTP) is checked. Now you should be able to connect your phone or tablet with Android File Transfer (for Mac). Cheers!